Take a peek into Captain Risky's home - the Temple of Risk - and see why Budget Direct won't insure it. That's right, now Captain Risky is letting us into his lair and you better believe it's a risky place to be. The ad, by 303Lowe and directed by Goodoil Films' Hamish Rothwell, builds on the Captain Risky campaign launched in early January, by showing off Risky's humble abode. It's off the grid, full of dodgy electrical wiring and has a hot tub: all the hallmarks of a man who plays by his own rules. 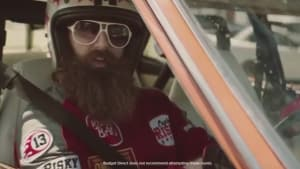 And unsurprisingly, Captain Risky explains, Budget Direct won't give him home and contents insurance. Stills Production: Louis & Co.